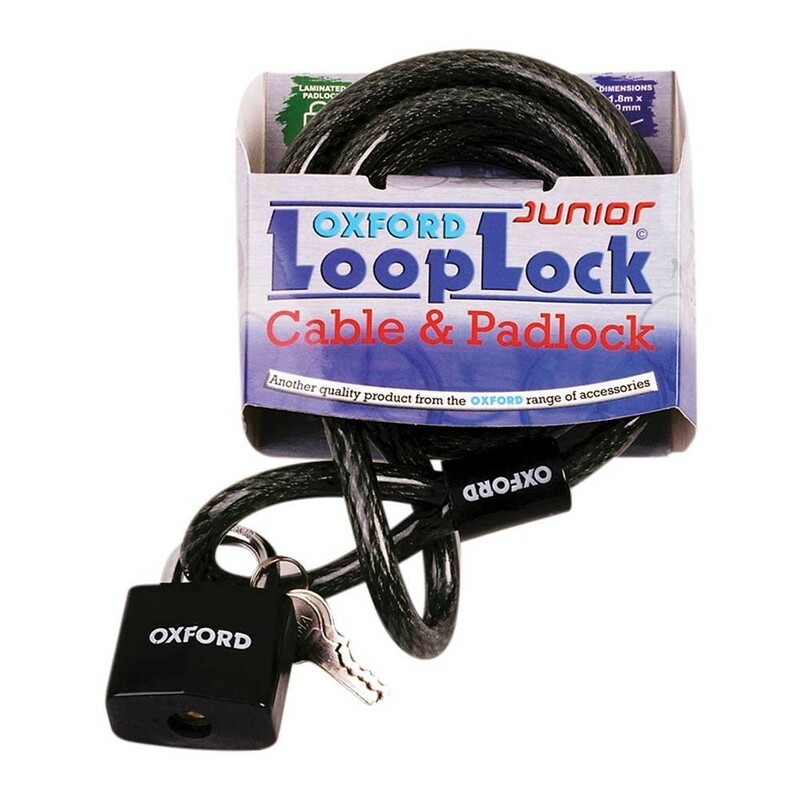 Oxford Loop Cable with 40mm laminated padlock. High tensile steel, self-coiling cable. Vinyl coated to protect paintwork. 1.8M Cable provides enough length to lock up almost anything.